If you’re like me you’ve watched a bit too much SBS Food Network since it launched. In fact, it’s been said more than once in our house in the last month, “There’s more than one channel, you know.” Clearly I know this, because I always watch ABC breakfast, but I digress. If there’s one thing I’ve learnt in the last month it’s that the key to a juicy Christmas roast is brining. In my day job as a fermentation scientist, I’m obsessed with talking about how the chemistry of food affects both the flavour and the ability of different micro-organisms to grow. In real life, this combines with my passion for talking about how science often proves what we’ve learnt by trial and error. How does this apply to brining? Brining makes meat juicier by pushing water into the structure of the meat. Moisture will cook out, but if we start with higher moisture, we’re going to have a higher moisture when we finish, and therefore a juicier finished product. The salt plays a role here too. It helps denature, or unravel, the proteins in the meat, which in turn helps them hold the moisture in. The other great thing about brining your roast is that it’s an opportunity to layer some extra flavours into the meat. In this case, I’ve added the most festive, cidery flavour I can think of – mulled cider. The great thing about this recipe is, whilst it’s often too warm for a glass of mulled cider at Christmas in Tassie, here’s a way we can get all the same flavours in a Christmas food that can be cooked on a barbeque. So here’s a cheer to science, and cider and Christmas and meals shared with loved ones. Prost! Makes enough brine for a whole chicken, pork roast, turkey breast or 4 pork chops. For a whole turkey, ham or pork leg, you’ll need to double or triple the recipe. Mix all ingredients except the water. Bring to the boil, and simmer for five minutes. Remove from heat and cool by adding the water. Soak meat, completely submerged, in the brine for at least 2 hours per kilo, preferably overnight – 24hours. Before cooking meat, remove, pat dry and season. A 1971 Mini panel van serving Tassie cider, wine, beer & gin at events and private functions. 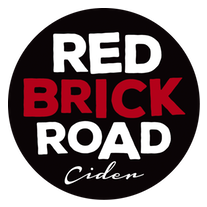 We'll bring the Red Brick Road Ciderhouse to you.